My broccoli harvest is quite plentiful this year and I’m thrilled! 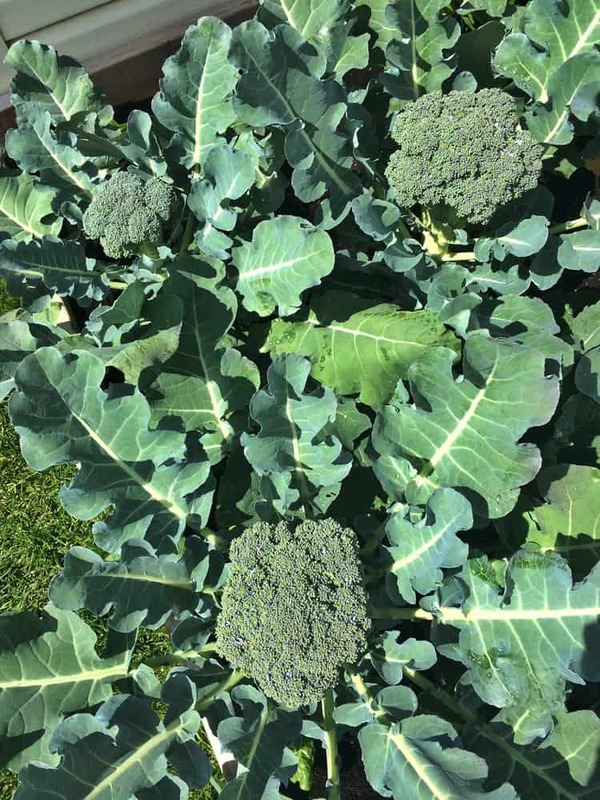 I love broccoli and ever since I started growing it about five years ago I’ve been satisfied with the results. That is except for the year the groundhog ate it all up and basically left behind nothing but the stems. It was the first time I ever considered harming an animal! But don’t worry, he got away. As you can see, the plants are quite large and my aunt told me you can eat the outer leaves when they are tender, however I have yet to try them. The wonderful thing about broccoli is that when you cut off the heads, they grow back so you can continue to harvest the broccoli all summer long. 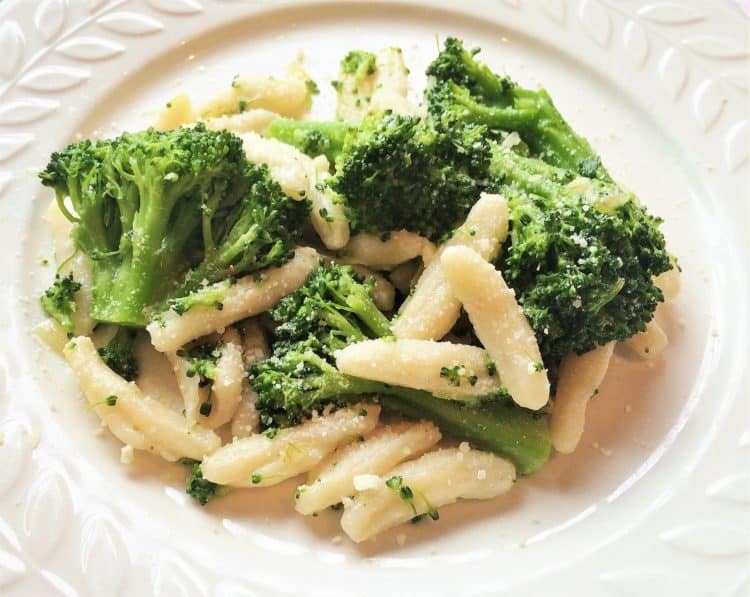 Pasta with Broccoli was a staple in my home when I was growing up and it is now with my family as well. This is by far our favorite way to eat broccoli. My mother didn’t add the sautéed onions to her pasta but I enjoy the added flavor. I just add the broccoli to the boiling pasta after about five minutes, so you don’t even have to cook your broccoli in a separate pot. If you like softer broccoli that breaks apart and becomes almost pesto like, toss it in the pot earlier. 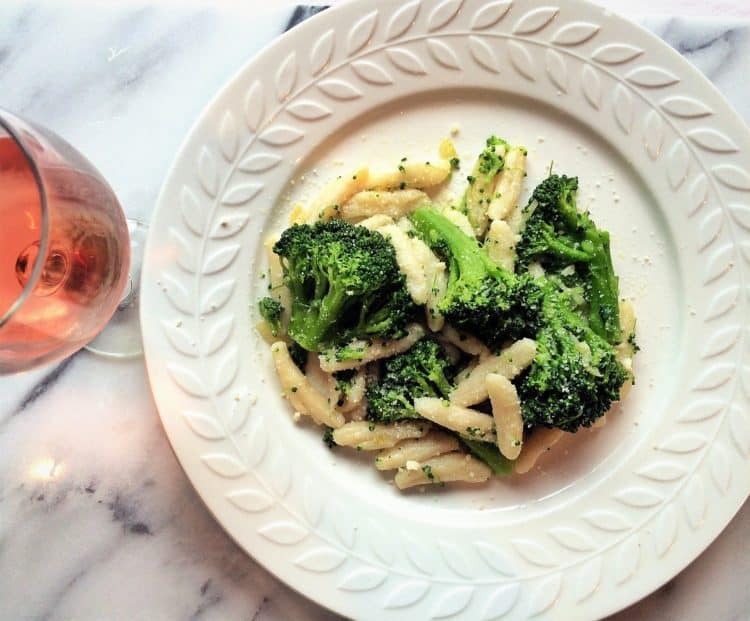 Our preferred pasta with broccoli is penne, but you can use just about any type of pasta that you like. This week I happened to have a batch of cavatelli, coutesy of my dear aunt, so that is what you see pictured here. It is the simplest recipe in the world, requires only five ingredients and you can prepare it in less than half an hour. This is your go-to recipe when you need to get dinner on the table fast and want something healthy for your family. Another excellent garden to table favorite. Buon appetito! Pasta with Broccoli is a staple in all Italian households. A simple dish with few ingredients to make a perfect meal! 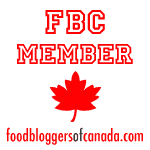 Bring a large pot of water to a boil. Meanwhile, separate your broccoli into florets and rinse. You can use the stems by peeling the tough outer layer and slicing them. When the water comes to a boil, add salt and pasta. 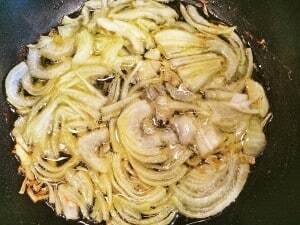 While the pasta is cooking, chop the onion into thin slivers. Sauté in the olive oil in a small pan until golden. 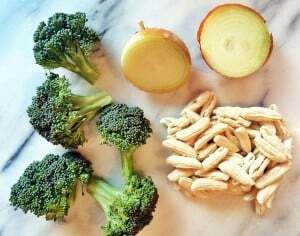 About 5 minutes before your pasta is ready (time may vary according to the type of pasta you choose) add the broccoli. Continue cooking to the desired level of doneness. Drain the pasta and broccoli and stir in the sautéed onion. Serve with plenty of parmesan cheese.